Established from 1983, Star Barrier Mesh Co., Ltd. has 30+ years in manufacturing and exporting barrier mesh products to America, European and other regions. Our company is famous for its full range temporary fencing products, satisfying services and prompt delivery. Have you been searching for an economical and durable temporary barrier fence? 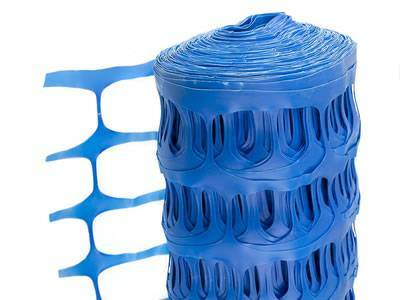 Star plastic barrier fencing mesh will be the best answer. Manufactured from high quality UV stabilized polypropylene or high density polyethylene, barrier safety fencing mesh features lightweight for one-person handling, cheaper price than steel temporary fence, easy and simple to install without special tools and high visible colors. Hence, it is extensively applied by events, golf courses, crowd control, traffic control and snow control barrier. What type of barrier mesh do we supply? In any color, including orange, green, black, yellow, blue and pink. Material: Polypropylene or high density polyethylene. Mesh opening: oval, square and diamond. Accessories: steel pins, t-posts, u-pins and cable ties. What about the benefits of barrier safety fence? Lightweight for one person handling. Simple installation without special tools. Multiple colors to match with the environment. Versatile uses - including warning barriers, boundary barrier and temporary barrier fence. Where barrier safety mesh used? Crowd control in public gathering areas. Warning safety barrier like construction sites. Temporary fencing for sport events, golf courses. Temporary enclosure for plants, poultry. As the leading supplier of plastic barrier mesh in China, our company provides the widest range of fence selection. And our professional sales will recommend the suitable item if you are confused. Please feel free to contact us at any time! Blue barrier safety netting is an ideal temporary fencing for crowd control, snow control and warning barrier for construction sites & events. Black plastic barrier fencing ranging for light duty to heavy duty, suits many different uses like sport events, public gathering and snow control. 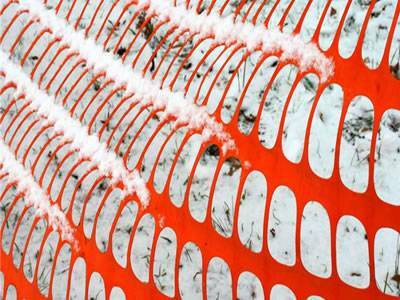 High-vis plastic snow fence with 55% mesh opening creates drifts in specific areas like wooden fence. However, it is suitable for one-man handling and economical. 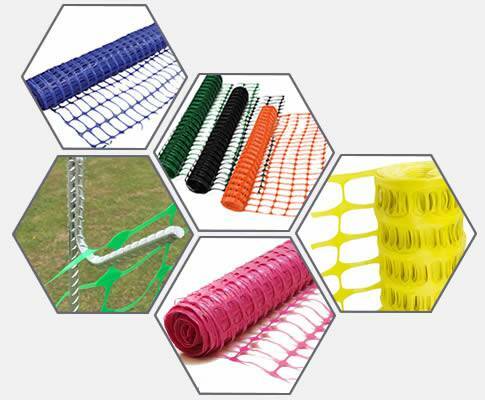 Orange barrier safety netting features high visibility, light to heavy duty, fast installation and is widely used as temporary fencing of events, crowd control. High visible orange plastic snow control fence should be installed properly to create desired drift-free areas for driveway. Cool fence netting for my cat! This orange barrier fence netting is very good. It seams strong and durable. It is used to create a charming enclosure for my lovely cat. This fence totally separate the cat from the dog. Both of them will live a peace life. Very very durable, I love it. 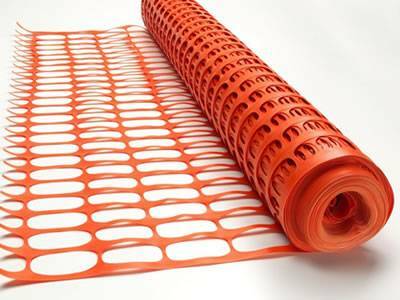 This orange barrier mesh is very durable, not the cheap one that a lot of stores sell. I used this around the back yard as temporary fence until the chain link fencing was finally installed. They are very simple to erect by cable ties. Plastic barrier meshes are among the most temporary barriers for events, crowd controlling, boundary barrier and boundary barriers where permanent barriers are not necessary and cost much more. 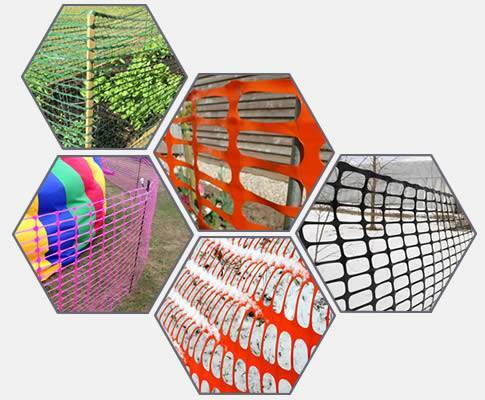 The barrier mesh is available in orange, black, blue, yellow or other custom colors. It is very light in weight and very easy to install without special tools. Houzhuang Industrial Park, Anping County, Hebei Province, China. Copyright © 2017 Star Barrier Mesh Co., Ltd.